The special on the menu today is Essie's Madison Ave-Hue. 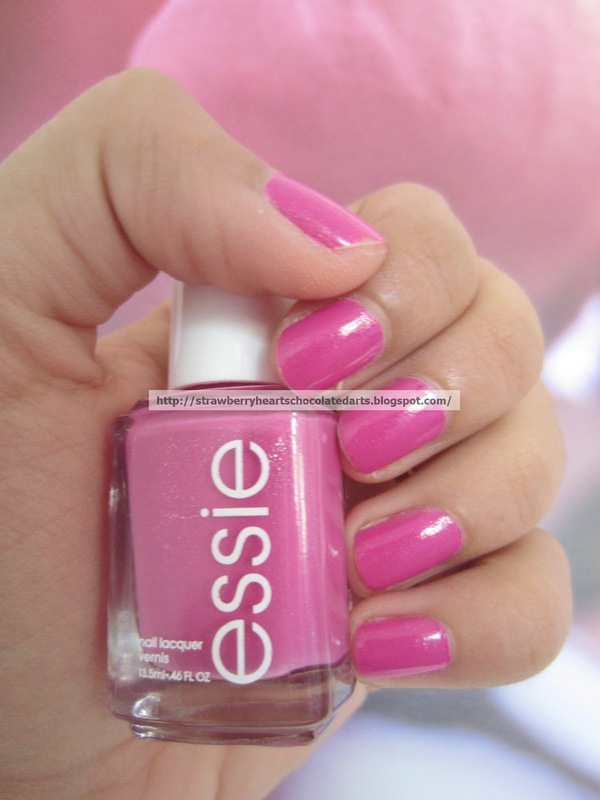 This polish has recently released as part of Essie's Spring 2013 collection. I purchase Essie polishes at Kohl's because I get a pretty decent discount (about 30% off). I don't like to spend more than $5-6 on a nail polish. I honestly don't feel like Essie polishes are worthy of the hefty price point of $8. The Essie formula is a hit or miss. 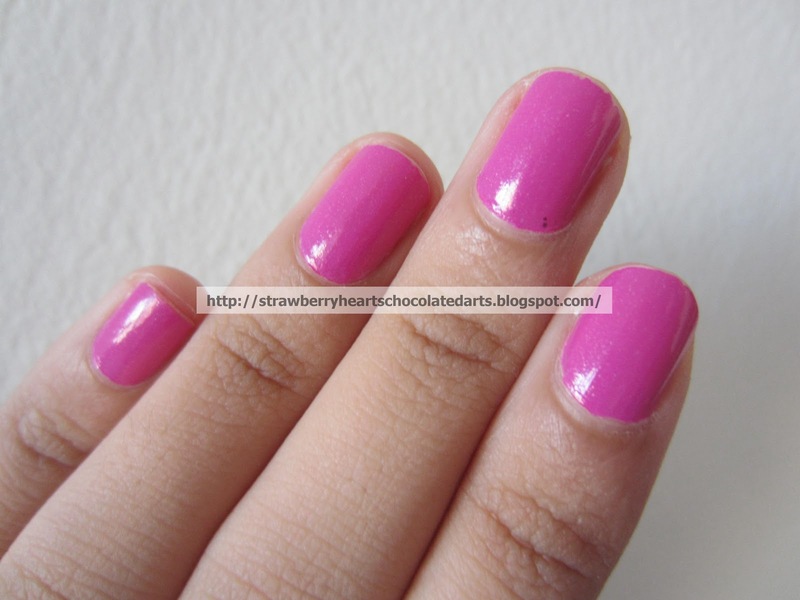 Sometimes the formula is lovely, but sometimes it is worse than a $1 nail polish from an unknown, questionable brand. If it weren't for the fact that Essie is available to me at Kohl's, where I receive a considerable discount, I most probably will not be able to justify purchasing an Essie polish. Essie's Madison Ave-Hue is a dark hot pink with strong blue and purple undertones and subtle silver shimmer. I would describe it as a lavender fuchsia because it is too pink to be lavender and too purple to be fuchsia. 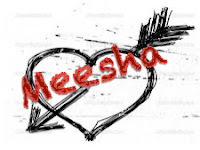 Forgive my strange description. I know my descriptions are quite intricate sometimes, so I have added plenty of pictures for you to reference. The formula of this particular shade is a sheer creme base with subtle shimmer. The application was not bad. 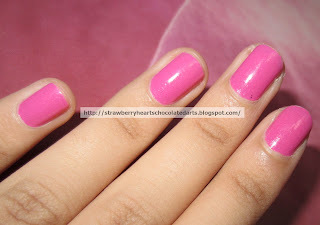 However, this polish is thin when applied even though it doesn't seem that way on the brush. I had to apply three coats for a fully opaque look. I added Essie's Good to Go top coat on top as always. 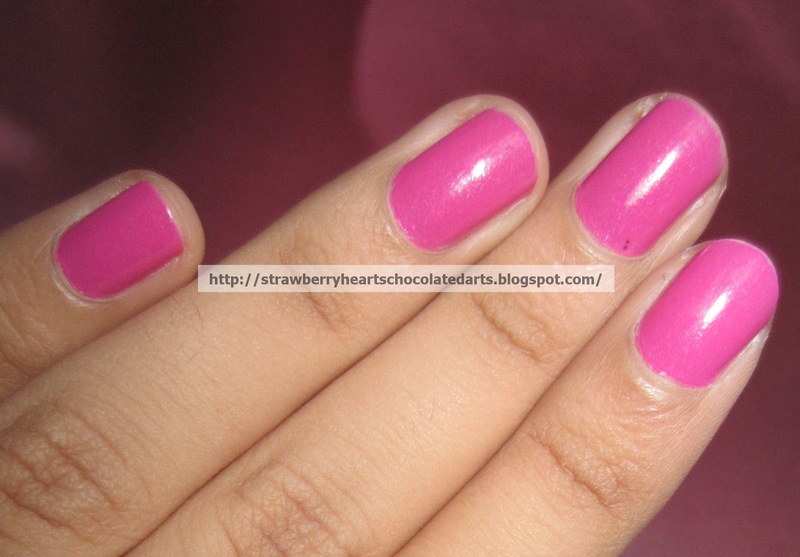 I removed this polish after four days. I did not observe any chipping. My nails grow fast so I could see my naked nails peep through near the cuticles, but otherwise the polish was holding up quite well. I don't know if a four-day period is long enough to give you all a good idea of the longevity of this polish, but most people I know, including myself, change up their nail color after a few days. I tested the other shades from this collection in the store. The collection includes Go Ginza (true lilac), Bond with Whomever (milky lilac), Hip-Anema (bright orange), Avenue Maintain (deep topaz blue), and Maximillian Strasse-Her (grayish milky green). I strongly disliked the formula of most of these shades, except for Avenue Maintain and Madison Ave-Hue. If you all like the colors of Madison Ave-Hue (pictured) and Avenue Maintain (deep topaz blue), I would recommend these particular shades for their decent formula and application. 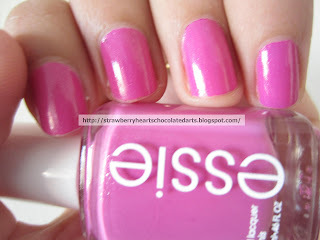 I haven't tried Essie yet, in Oz we pay RRP$16 a bottle, I don't believe it's worth that. 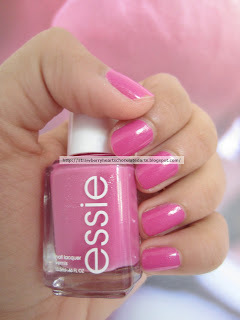 I get Essie here for Rs 500 - buy it sometimes when I have a voucher or something, so I get 100-120 off. 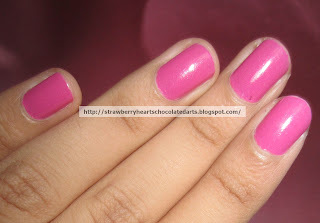 But most of them are incredibly streaky and need a million coats, despite being non-sheer cremes.